This was supposed to post last Thursday but I forgot to publish it so here it is today! Last weekend when Finley had her soccer windup at the bowling alley at Chinook I decided to head to Sportchek Women for a gait analysis to make sure I was wearing the right kind of shoe and what other options I might have for shoes. 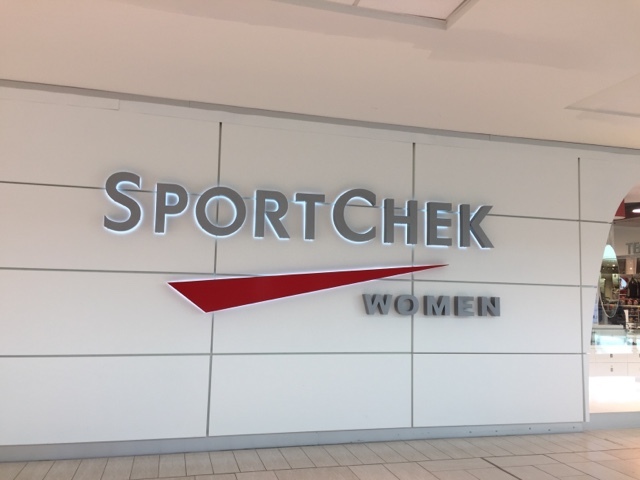 Sportchek Women opened in early March and is located on the second level right beside Nordstrom. When I walked in, I loved how bright and open it seemed to be and I love how the clothing was organized by activity and not brand, which I think all stores should do. What I didn't love is how not one single employee stopped to ask if I was looking for anything in particular. Not even a hello or good afternoon - I think they could use a greeter for welcoming customers into their store. It's one of my favourite things about some stores. After walking around for awhile, I finally flagged down a staff member and asked about the gait analysis. She was very friendly and did find me someone who could do it for me. Only 2 people are trained on the gait analysis so while I didn't make an appointment, it might be something to think about if you want it done. 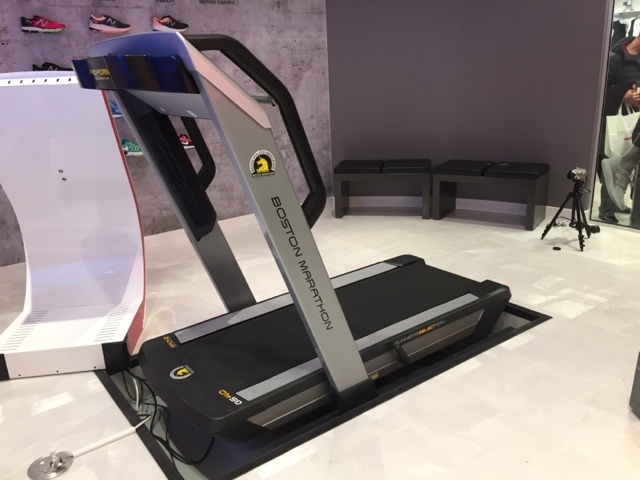 They take you to a treadmill area and you take off your socks and shoes and you run on the treadmill. They let you warm up for a bit because it is kinda weird running on it without shoes or socks. Then you run for like 2 minutes if that and then you get off. The cool thing is you can watch yourself run on the screen in front of you. I brought a pair of my current running shoes but you don't need to do that. She didn't even look at my shoes to check for wear pattern. Do wear shorts or pants you can pull up above your knees so they can measure for better accuracy. If you look at my photo you can see a green line from my hip to my ankle. Your knee should always be at a 90 angle but mine is about 104. That means I am not running with my hips forward enough or my glutes or hips could be tight. I am leaning towards not running forward enough probably because I run on my toes which is the absolute worst way to run. We determined that I do need a neutral shoe and Greg told me that my Altra runners are a neutral shoe. So at least I did something right haha. Alannia knew her shoes which was a relief. She brought out 12 different neutral shoes but all of them were too tight in the toe box area except for a pair of Under Armours but they had no cushioning around the toes which as a toe runner I desperately need. I did buy a pair of Asics because I felt bad making her go back and forth for all the shoes for me to try on but I knew they weren't the ones for me. I ended up returning them the following Monday at the Sportchek near my house. 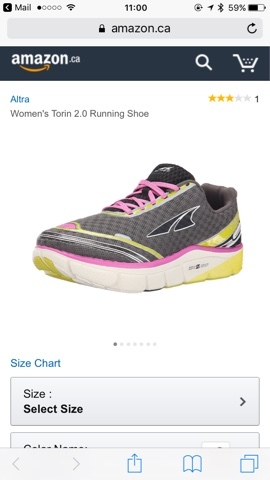 I decided to order a pair of Altra Torin's instead off of Amazon since I couldn't find any in my size locally. 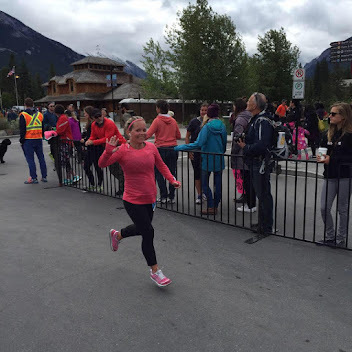 I have been wearing Altra's for almost 2 years now and I am really happy with them and decided that after all the shoes I had tried on the day before, they were still the right shoe for me. I have 4 pairs of Inutitions for regular running and bootcamp and Lonepeaks for hiking and winter running but I decided to try out the Altra Torin's because they had a bit more cushioning on the toe and my physiotherapist suggested I try them out given my style of running hahah. They arrived on Friday so I will post soon my review on them. 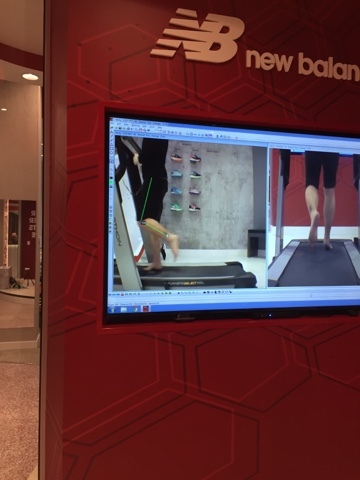 The gait analysis was a really cool experience and if you are having pain from running or think you are wearing the wrong shoes or both of the above, give it a go. It's a free service and you can potentially learn a lot from it.